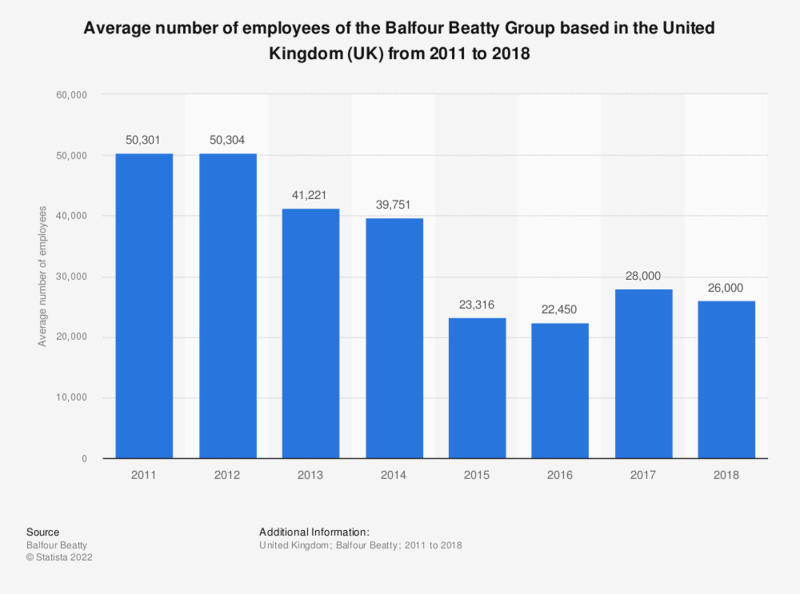 This statistic shows the average number of employees of the Balfour Beatty Group for the years 2011 to 2017. The number of employees at the Balfour Beatty Group has declined over the four years, particularly from 2014 to 2016. In 2017, 28,000 people worked at the Balfour Beatty Group on average. Prior year figures were taken from earlier publications by the source. Do you agree with the planned construction of the Strait of Messina Bridge?